The O’Higgins Commission of Inquiry has found that former minister for justice Alan Shatter took allegations of garda whistleblowers very seriously. The unpublished report said he had very substantial concerns and had displayed active and personal concern. Given that most of the allegations had been examined or were previously reviewed, the actions of the then minister were amply justified, it believes. In relation to the former garda commissioner, Martin Callinan, the report states that clearly and unambiguously there was not a scintilla of evidence to support any allegation of any type of corruption. The commission found that any aspersions on his integrity were unfounded and deeply hurtful. 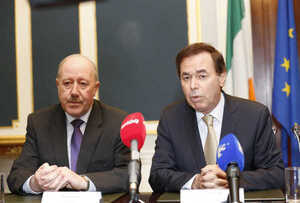 It also said that exchanges between the garda commissioner, the justice minister and the Department of Justice were at all times professional and appropriate. The O’Higgins Commission of Inquiry also found that garda whistleblower Maurice McCabe acted out of genuine and legitimate concerns. It concluded the garda sergeant showed courage and performed a public service at considerable personal cost. 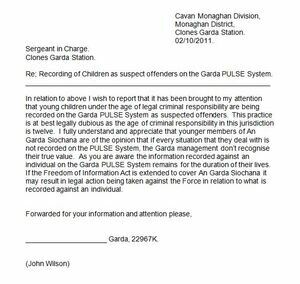 Posted in Misc and tagged Alan Shatter, Martin Callinan, O'Higgins Commission at 5:12 pm on April 26, 2016 by Broadsheet. So now the question, is this a whitewash or was everyone quick to point to finger without any actual proof? people will believe what they want to regardless of evidence. who are we to question the justification of their outrage and vilifications! I’m sure I’m not they only one whom gets annoyed at what the way you write like you do in the way that you did and are you maybe too lazy or don’t care and could be doing it on purpose anyway to annoy me and people like me who don’t like it too like me. It would be nice if you didn’t do that and did do what I’m asking you not to do. d idea of whats acceptable as proper punctuation. Do you realise that you’ve been on this site non-stop for over 24 hours now? You were supposed to be here 12 hours ago to let me get some sleep. None of your business. I’m here now. Fupp that, the man broke the rules of his office and divulged information on another TD for political gain. He has no integrity to speak of. He f***ed up there, it is true. In other ways, however, he has showed an awful lot more integrity than most of his time-serving predecessors. A calmer, less abrasive approach & sadly, less attempts to reform the legal profession & he would still be in office. True. Only himself and his ego to blame. Kieran Boylan smiles into his pint. It is almost like the Garda have an RTE spokesman. Is Kevin O’Higgins a therapist or a judge ? Deeply hurtful.. joke. Agreed. Has no place in a judicial report. Next it’ll be poor Shatter breaking out in hives due to stress. Irrelevant. This kind of stinks. If both the guards and the government did everything right and took whistle-blowing seriously, and Maurice McCabe did the right thing when he went about whistle-blowing – what the hell went wrong? The guy was pilloried and hounded for it. I presume you’ll be challenging Mr Justice Kevin O’Higgins to a duel? But he’s a professional, he wouldn’t show bias at all, at all. It’s amazing that the top police officer of the State can get away with shredding six bin bags of documents and destroy a mobile phone after resigning in disgrace only to be cleared by an inquiry. In a functioning society where the rule of law meant something he’d have been prosecuted for destruction of evidence and perverting the course of justice. 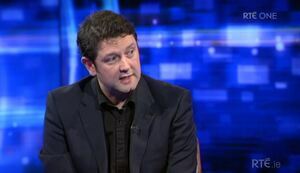 Interesting how it hasnt been realised yet but RTE have seen it. maybe Crime Correspondent Detective inspector Paul Reynolds can explain the leaking of a confidential report. Trevor from the tennis club says the Law Library took over Patrick Guilbauds for a whole weekend when poor Mr Shatter resigned. Apparently they almost ran out of Montrachet. Just imagine! But Shatter is hardly very popular in the FG party at the moment? If you believe this you are truly stupid. So, will Noirin launch an investigation into how RTE has got its hands on an unpublished report? Will she ask Reynolds for his 12 phones? If the wording is correct, then it is worded in a way to make McCabe look like a little boy (that he was a good boy for reporting the abuses, but they were not so important really) and worded in a way to get callinan and Shatter off the hook. Facts are facts though. Who appointed this fellow – Enda Kenny? Oh! I musta had the wrong O’Higgins earlier.. Apologies. What do you care? You’re more than happy to throw out random smears on the internet either way. What random smears? I only quoted the fella.. it’s the same family. Steeped in FG. Do you give a toss about who your cousins vote for? – most people would not. I think the other fella I mentioned earlier is the nephew, or the brother or the cousin or something.. So why did Callinan and Shatter resign ? A very interesting question Bill! Because they were forced to. To get to the other side, they had to use the force, they did. Callinan was “corrupt”, what need’s be to established, what actions both indivduals took when they were made aware of the matters Sgt Maurice McCabe raised, in effect were the penalty points restored where they were cancelled, then there is the Callinan comment uttered at a Dail Committee…”of disgusting”….was there ever a retraction or an apolgy, and the person seated beside Callinan, was Noirin. Any mention of John Wilson ? Has Shatter’s asthma cleared up.